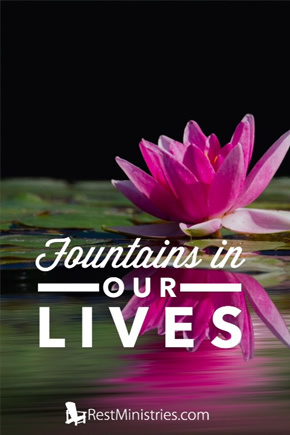 How does do the scriptures describe the fountains around us? Melanie shares. “For with You is the fountain of life” (Proverbs 36:9). This summer I visited Forde Abbey, transformed into a stately home since the dissolution of the monasteries in 1536 by Henry VIII. The most memorable sight was the fountain–only switched on twice a day. At 3 o’clock we joined the small crowd gathering on the banks of the Mermaid Pond to await the spectacle. The water soared spectacularly up to its zenith of 160 feet and then cascaded down, showering droplets all over the surface of the previously still lake. It was mesmerizing, impressive, beautiful, refreshing, and full of vitality. Seeing this brought alive several verses in Proverbs about fountains of life. Firstly, “The fear of the Lord is a fountain of life” (Proverbs 14:27). Reverence for God, submission to His supremacy, a grasp of His majesty, power, wisdom, immortality and love. It can be a source of vitality for us–which we so need when our health problems seem to drain the life out of us. Has your inner life become dry? Set aside some time to study the character and attributes of God that you might be refreshed. Secondly, “Understanding is a fountain of life to those who have it” (Proverbs 16:22). Throughout Proverbs, the writer insistently urges us to place the quest for wisdom above every priority in life. We are lifelong learners. Let’s always be open to being challenged and changed by God’s Word, learning from our mistakes and the example of other Christians. This will invigorate our spiritual life. Thirdly, “The mouth of the righteous is a fountain of life” (Proverbs 10:11). Did you know that your conversation can be a fountain of life to someone else? What a privilege and challenge! You don’t need to go out of your front door or do some great deed. By speaking words of kindness and encouragement to someone, the spiritual energy you receive from the Lord can overflow to others in a beautiful, refreshing fountain. 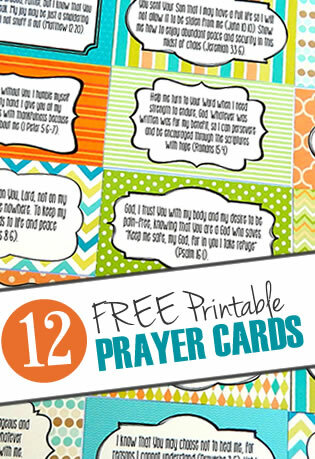 Prayer: Almighty God, Source of all life, How I need to be revitalized by Your life-giving power. Help me to deepen my reverence for Your Divine Being. May I always seek greater understanding and may my words bring refreshment to others. Amen. Will you be refreshed this week by renewing your fear of the Lord and then become the source of refreshment to someone else? Thanks for sharing this video Lisa. What a great way to start the day. So grateful for you and this ministry of yours. You and your writing team are a blessing to so many.